Hello. Are you searching about the American International University Bangladesh? Then read this article. Here, I have described all the info about this university. And, I have also written the process to admit here, so, read the article. The American International University Bangladesh is one of the top class universities in Bangladesh. The students are willing to study here because of their outstanding facilities and courses. Now, let us get some information about this institute. This institute’s nickname is AIUB. It has established in 1995. Its founder is Dr. Anwarul Abedin. And, the chairman, Chancellor, and Vice-Chancellor are Ishtiaque Abedin, President of Bangladesh and Dr. Carmen Z. Lamagna. Its campus is located in Banani, Dhaka, Bangladesh. Now, it is a private university and it has many students and staff. The academic staff is 2930 in this institute. Actually, this university was established under the private university Act, 1992. And, it had a joint share with AMA Group of Companies of Philippines. Later, That Company left their share. And, then the name changed into American International University Bangladesh. This university has some unique courses and facilities which no other university has in Bangladesh. It is totally an independent private university. Because it has its own Boards and Trustees. 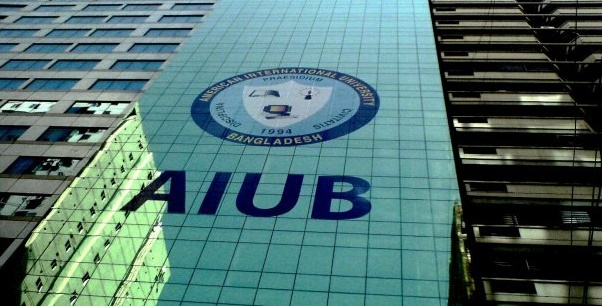 AIUB also has several campuses in Dhaka and it still building its future campus Kuratoli Road, Kuril. The American International University Bangladesh has four faculties and under them, they offer many courses. The name of those faculties is given below. Master of Engineering in Telecommunications (MTEL). Electrical & Electronic Engineering (EEE). Master of Science in Electrical & Electronic Engineering (MEEE). Computer Science and Software Engineering (CSSE). Master of Science in Computer Science (MSCS). Masters in Public Health (MPH). Bachelor of Social Science in Economics. Masters in Development Studies (MDS). And, AIUB is the first university in the nation that offers the Agribusiness MBA (AgMBA) program. The scholarship and semester info of American International University Bangladesh are given below. The AIUB includes two semesters one is spring and other is fall. Now, the students who will get 3.75 of CGPA or more and not lower than B+ or get F, I, W grade in the exam, they will be awarded. In here, students get many facilities. They have the big campus, big lab, good security, large library and clean education. Now, the students who want to admit here must pass the entrance exam. Finally, I like to thank you for reading this article. And, please visit our site to know more about American International University Bangladesh.